This is a beautiful and romantic diamond engagement ring! 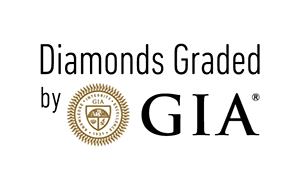 The round brilliant cut center stone is .68 ct and graded as SI1 clarity and H color. This bypass ring features two rows of diamonds on either side, swirling around the diamond from both sides. The side diamonds add .27 ct to this pretty piece. This ring features a euro-shank and has an accent diamond at the bottom of the shank.